Motley Crue have launched a PledgeMusic campaign in support of the expanded 30th anniversary reissue of their 1987 album, “Girls, Girls, Girls”, ahead of its release on August 25. Alongside the project – which will feature five unreleased tracks – the band are offering a variety of bundles and packages for the set, including colored vinyl, commemorative poster/lithograph, vintage t-shirt, vinyl test pressings, a limited-edition, numbered drum head, a flexi single and more. 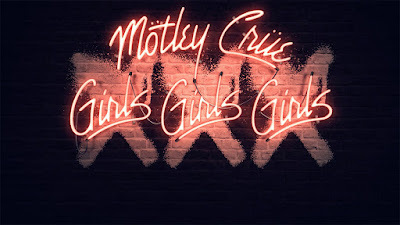 Motley Crue’s fourth album, “Girls, Girls, Girls” peaked at No. 2 on the US Billboard 200 on its way to US sales of more than 4 million copies, led by the US Top 15 hit title track. After an 18-month farewell tour, Motley Crue wrapped up their 35-year career with a performance at the Staples Center in Los Angeles on December 31, 2015.